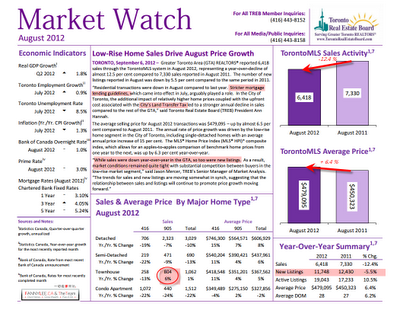 This August recorded 12.4% fewer home resales in GTA when compared to August 2011. * TREB attributed the decline partially to the new CMHC mortgage rules introduded in July as well as land transfer tax of Toronto. * Out of all home type in "416" and "905" areas, townhouse in "905" is the only sector that is more active this year than 2011. * For the first time this year, the new listings reduced. 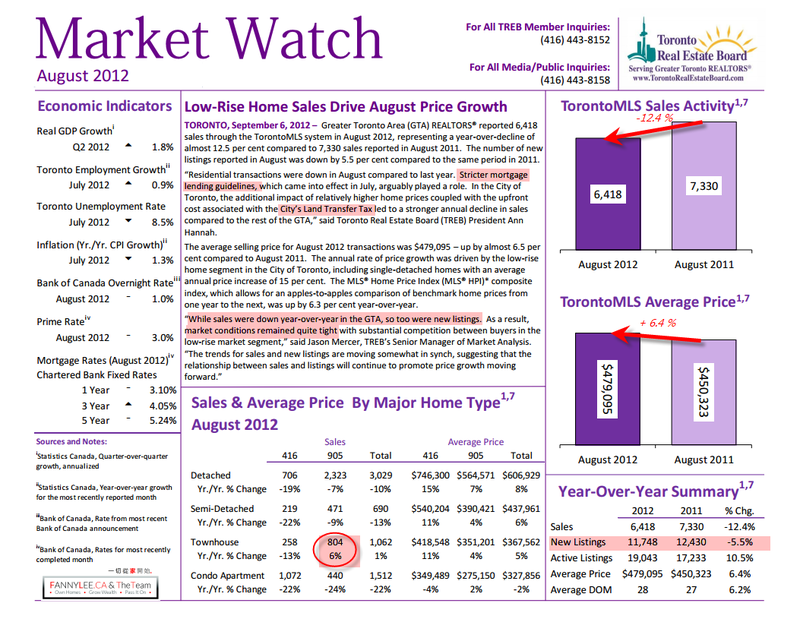 There were 5.5% less new listings in August as opposed to 12 months ago. "Market conditions remained quite tight... " TREB Analyst. To read the entire report, here it is.